In a recent Buyer's Guide, Gear Patrol named the "10 Best Desktop Speakers" and our very own Millenia CT was named "Best Overall Desktop Speakers"! "Best Overall Desktop Speakers: The Canadian loudspeaker manufacturer has left the audio industry and tech experts in awe over its latest 2.1-channel, satellite/subwoofer system, which creates a self-powered sound staple capable of outperforming a majority of the top-rated sound bars on the scene. Each speaker dons one 1-inch high frequency driver and one 4-inch bass/mid-range driver, producing the audio trifecta of incredible lows, mids, and highs. The accompanying sub has its own volume control, granting listeners the power to take in easy listening sessions or rattle their living room with ear-piercing bass response. A deep and extensive soundstage only adds to its premium performance, bringing acoustics and instrumentals to life with sharp and detailed output. 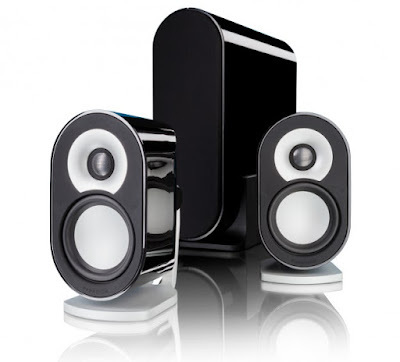 A speaker system this sonically powerful and pleasing deserves top billing." Click here! to read about Gear Patrol's Best Desktop Speakers.